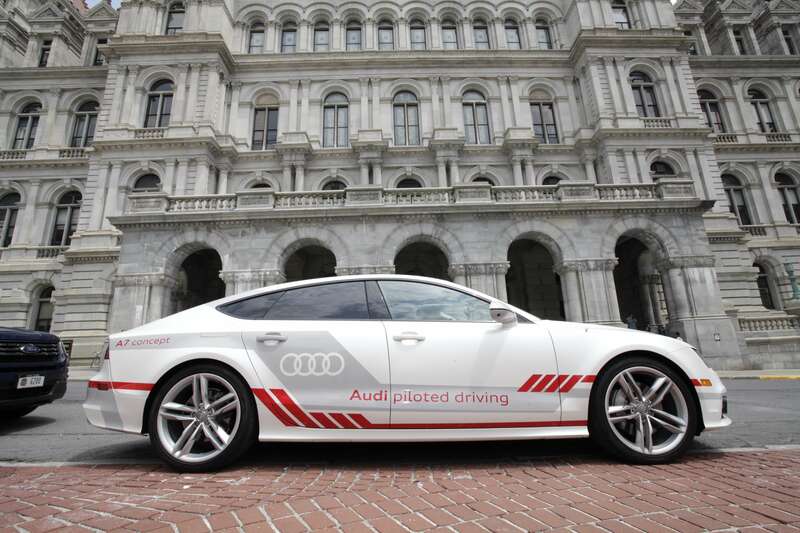 Audi became the first company to demonstrate an automated vehicle in New York, at an event near the state capitol today. 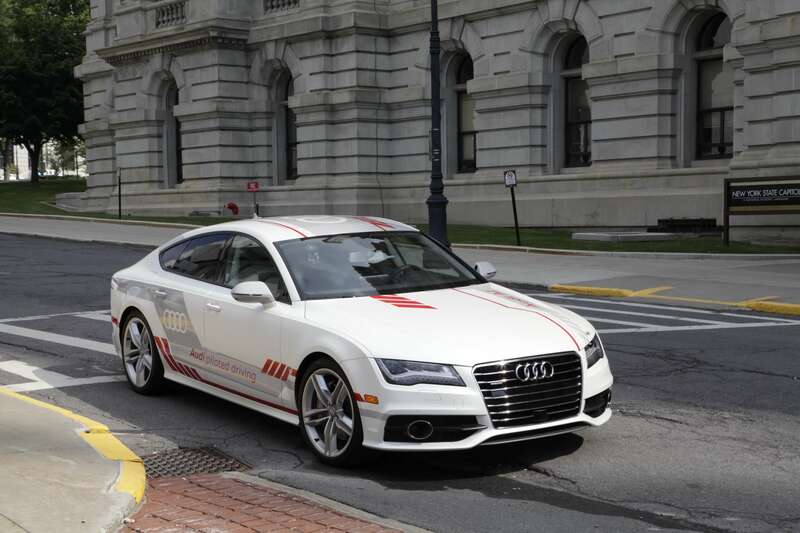 Audi offered rides and demonstrations of Audi Highway Pilot technology – Society of Automobile Engineers Level 3 automation – to legislators, their staffs, media and other stakeholders. The vehicle is capable of automated driving at posted highway speeds when specific conditions are met. Two trained engineers are in the vehicle to monitor the system and ensure safety, one in the front seat and one in the back. Audi’s demonstration vehicle has already safely logged thousands of miles on limited access highways across the U.S.
New York recently selected Audi of America as the first company approved to perform autonomous vehicle testing in the state after Governor Andrew Cuomo announced that the state was accepting applications from companies interested in testing or demonstrating autonomous vehicles on public roads.